An initial discovery of water in Yamunagar district of Haryana, where the dig for Saraswati is located, triggered much excitement. But there is little scientific evidence on whether an ancient river existed. 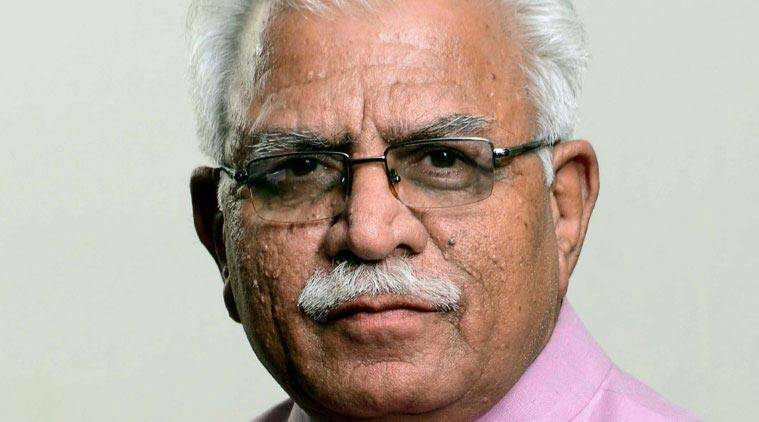 Haryana Chief Minister Manohar Lal Khattar has told The Indian Express that his Rs 50-crore project to unearth the mythical river Saraswati was a mission to keep alive “the soul” of a community, even if that meant creating a symbolic or artificial water body and giving it the name. “Like a human, society too has a living sense. We call it soul. We need to keep that soul alive. Social concepts, social recognitions need to be taken care of. In our society, we have a specific place for the cow, Gita, and in the same way, there is place for the Saraswati. It is an article of faith for this region. We need to maintain people’s faith. We should not break it,” the CM said. He insisted that the existence of the river, thousands of years ago, had been scientifically proven. Due to the seismic disturbances in the hills in the region, the river’s waters had got distributed in the Sutlej, Ravi and Beas, and some water had run off into the Ganga and Yamuna. “When the Saraswati’s path got disturbed, it resulted in drought in Rajasthan. The path of the Saraswati river originally passed through Rajasthan and went up to Kutch. I have studied the entire civilisation of this area. Thousands of years ago, disturbances took place. But today, we have found an entire [Harappan] city buried under ground in Rakhi Garhi. I don’t know if science agrees with it or not. Disturbances in hills, sea and under ground, it is thousands of years old history. More than 5,000 years ago, Saraswati river existed and Kurukshetra, Pehowa were located on its banks,” he said. An initial discovery of water in Yamunagar district of Haryana, where the dig for Saraswati is located, triggered much excitement. But there is little scientific evidence on whether an ancient river existed. Khattar said satellite mapping had proven that a river indeed flowed in the region thousands of years ago.